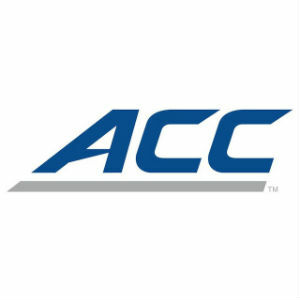 Pitt running back Tony Dorsett, Florida State running back Warrick Dunn, Georgia Tech coach Bobby Ross and Miami running back Clinton Portis are among the 2015 Atlantic Coast Conference Class of Football Legends announced on Tuesday. Those leaders of national championship teams will join 10 other all-time greats as honorees at the ACC Night of Legends presented by the Belk Bowl on Friday, Dec. 4, and during the on-field pregame festivities at the 11th annual Dr Pepper ACC Football Championship. Reserved tables and seats for the ACC Night of Legends presented by the Belk Bowl are available now as part of the ACC’s new Queen City Club memberships, which provide customers with premium amenities at all Dr Pepper ACC Football Championship Game events. Individual Night of Legends tickets are also available, and fans are encouraged to secure their access to this event by visiting theacc.com/fcgtickets. Boston College center Dan Koppen, Clemson linebacker Anthony Simmons, Duke running back Chris Douglas, Louisville quarterback Chris Redman, North Carolina offensive lineman Ken Huff, NC State defensive back and return specialist Fred Combs, Syracuse tight end Chris Gedney, Virginia defensive end Patrick Kerney, Virginia Tech defensive end Corey Moore and Wake Forest punter Chuck Ramsey complete this year’s Legends class. Dan Koppen Boston College C 1999-02 Dubuque, Iowa/East Greenwich, R.I.
Anthony Simmons Clemson ILB 1995-97 Spartanburg, S.C./Las Vegas, Nev.
Chris Douglas Duke RB 2000-03 Sherills Ford, N.C./Plainfield, Ill.
Warrick Dunn Florida State RB 1993-96 Baton Rouge, La./Atlanta, Ga.
Bobby Ross Georgia Tech HC 1987-91 Richmond, Va./Henrico, Va.
Clinton Portis Miami RB 1999-01 Gainesville, Fla./Charlotte, N.C.
Ken Huff North Carolina OG 1972-74 Coronado, Calif./Durham, N.C.
Fred Combs NC State CB 1965-67 Hertford, N.C./Raleigh, N.C.
Chris Gedney Syracuse TE 1989-92 Liverpool, N.Y./Syracuse, N.Y.
Patrick Kerney Virginia DE 1995-98 Yardley, Pa./Riverside, Conn.
Corey Moore Virginia Tech DE 1997-99 Brownsville, Tenn./Lansing, Mich.
Dorsett – one of college football’s most renowned Heisman Trophy winners and a member of both the College and Pro Football Hall of Fame – led Pitt to the 1976 national title to cap a stellar collegiate career in which he rushed for over 6,000 yards. Dunn cemented his lasting impact on Florida State football when he helped key the Seminoles and head coach Bobby Bowden to their first national championship as a freshman in 1993, and went on to become one of the top running backs in ACC history. Ross oversaw a return to football glory at Georgia Tech, highlighted by the 1990 national title and the Yellow Jackets’ first ACC football crown. Portis helped Miami claim the national championship in 2001 by rushing for 1,200 yards and 10 touchdowns on 220 carries. Koppen made his mark as the center on Boston College’s strong offensive lines before moving on to start on four Super Bowl teams with the New England Patriots. Clemson’s Simmons established himself as one of the leading tacklers ever to take the field for an ACC team. Duke’s Douglas set school rushing marks that still stand, while Louisville’s Redman displayed passing skills that led to national honors, including the trophy named for legendary Cardinal great John Unitas. North Carolina’s Huff epitomized the hard-nosed teams of head coach Bill Dooley in the early 1970s, opening holes for 1,000-yard rushers in the patented ground game. The multi-talented Combs proved a mainstay for head coach Earle Edwards’ NC State teams of the mid-1960s, including a starring role on the 1967 squad that played its way to a No. 3 national ranking. Gedney upheld the tradition of outstanding tight end play at Syracuse, setting school receiving records for his position and leading the Orange to four bowl games. Virginia’s Kerney emerged as one of the game’s top pass rushers, earning All-America honors after ranking second in the nation in quarterback sacks as a senior. Virginia Tech’s Moore was another elite defensive end, garnering both the Nagurski and Lombardi awards in his final collegiate season and piling up 35 quarterback sacks over his three years in Blacksburg. Wake Forest’s Ramsey proved a valuable weapon in the battle for field position, leading the nation in punting in 1973 and claiming consensus All-America honors. Each of the ACC’s 14 football schools selected its 2015 Legend. Below is a further glance at each member of this year’s ACC Football Legends Class. Dan Koppen (Boston College, 1999-2002) – A three-year starter for the Eagles and head coach Tom O’Brien, Koppen earned all-conference honors each of his final three collegiate seasons and helped pave the way for BC attacks that featured a 1,000-yard rusher each year. He was named to the 2001 Rimington Trophy watch list as a junior and was a 2002 finalist for the award, presented annually to the top center in college football. Koppen played on teams that posted four winning seasons and won three bowl games. Koppen, who was born in Dubuque, Iowa, and grew up in Whitehall, Pennsylvania, went on to a 10-year NFL career highlighted by two Super Bowl championships with the New England Patriots and a Pro Bowl selection in 2007. Koppen currently coaches football at the high school level. Anthony Simmons (Clemson, 1995-97) – A three-year standout at inside linebacker for the Tigers, Simmons became just the second ACC player to earn AP All-America honors three consecutive seasons. The Spartanburg, South Carolina, native set a single-season school record for total tackles with 178 in 1996 and ranked second on the Clemson career list with 486 when he left following his junior season to enter the NFL Draft. His 25 tackles for loss his junior year led the ACC and set a school record for a linebacker. He was named the UPI National Freshman of the Year in 1995, becoming the first defensive player to receive that honor. Simmons went on to play seven seasons for the Seattle Seahawks, where he led the team in tackles in 2000, 2001 and 2003. Chris Douglas (Duke, 2000-03) – The speedy and elusive Douglas finished his career as Duke’s all-time leading rusher, piling up 3,122 career yards on a school-record 695 carries. His 1,138 rushing yards in 2003 represents the third-highest single-season total in Blue Devil history. Douglas’ senior season also featured a memorable performance in a 41-17 win over Georgia Tech on Nov. 8, 2003 at Wallace Wade Stadium, in which he carried the ball 30 times for 218 yards and two touchdowns. Douglas capped his final college season by receiving the Jim Tatum Award as the ACC Football Scholar-Athlete of the Year. A native of Sherills Ford, North Carolina, who also competed in track and field as a collegian, Douglas played football briefly at the professional level. Over the past decade, he has built a successful career in business and currently resides in the Chicago area. Warrick Dunn (Florida State, 1993-96) – Dunn made an immediate impact as a Seminole, earning Freshman All-America honors at running back as he helped lead Florida State to its first national championship in 1993. The Baton Rouge, Louisiana, native went on to become the first two-time 1,000 yard rusher in Florida State history and the MVP of the 1994 Sugar Bowl. He finished his career with three 1,000-yard rushing seasons and is the only Seminole in school history to eclipse the 1,000 yard rushing mark on multiple occasions. Dunn still holds the school career rushing record of 3,959 yards. He set the school record for touchdowns scored with 49, earned All-America honors in football and track, and was a member of the ACC All-Academic Team. Dunn went on to have a 12-year NFL career with Tampa Bay and Atlanta in which he had five 1,000-yard rushing seasons and nearly 11,000 career rushing yards. Bobby Ross, Georgia Tech (1987-91) – A native of Richmond, Virginia, Ross restored Georgia Tech to national prominence as head coach, highlighted by the 1990 national title. From 1989 through ’91, Ross led the Yellow Jackets to three consecutive seven-win seasons for the first time in nearly 30 years, and consecutive bowl berths (1990 and 1991) for the first time in 20 years. Ross directed Tech to the 1990 UPI National Championship as the nation’s only unbeaten team at 11-0-1 following a convincing win over Nebraska in the Florida Citrus Bowl. A consensus National Coach of the Year and the ACC Coach of the Year, Ross returned Tech to the glory days of Bobby Dodd as the No. 1 ranked team by UPI, The Sporting News and Scripps Howard. The only coach to win ACC titles at two different schools, he went on coach the San Diego Chargers in Super Bowl XXIX. Chris Redman (Louisville, 1996-99) – A lifetime Louisville native, Chris Redman followed the footsteps of his father and grandfather by playing football for the Cardinals. Redman closed his career as the NCAA all-time leader in passes attempted and completed while finishing the 1999 season as one of just three Division I-A signal-callers to throw for more than 12,000 yards in a career. A first-team all-Conference USA selection and the league’s Offensive Player of the Year in 1999, Redman also added the Johnny Unitas Golden Arm Award to his mantle and was the first quarterback to lead Louisville to back-to-back bowl appearances. Redman went on to play eight seasons in the NFL, where he battled back from several injuries to throw for 3,179 yards and 21 touchdowns in 31 games. Clinton Portis (Miami, 1999-01) – Portis became just the true second freshman to start at running back for the Hurricanes in 1999.Portis set a school freshman record with five 100-yard performances, and led the team with 838 yards and eight touchdowns on 143 carries (5.9 yards per carry) in 10 games. Portis’ 1,200 yards rushing during the 2001 national championship season was then the third-highest single-season rushing yardage total in Miami history. He still ranks fifth on the Hurricanes’ all-time career rushing list with 2,523 yards. Selected by Denver in the second round of the NFL Draft, Portis went on to a stellar professional career in which he earned league Offensive Rookie of the Year honors in 2002 and amassed 9,923 rushing yards and 75 touchdowns in nine seasons – two with the Broncos and seven with the Washington Redskins. He retired as the 27th all-time leading rusher in NFL history. Ken Huff (North Carolina, 1972-74) – A Kansas native and a high school standout in Coronado, California, Huff started at offensive guard for UNC as a sophomore and was a key contributor on the 1972 squad that finished 11-1 and captured the ACC Championship. As a senior in 1974, Huff earned All-America honors while leading the way for 1,000-yard rushers James Betterson and Mike Voight. Huff received the Jacobs Blocking Trophy as the ACC’s top offensive lineman and the Jim Tatum Award as its top football scholar-athlete. The third overall draft pick by the Baltimore Colts in 1973, he enjoyed an 11-year NFL career that included three division titles with the Colts and a Super Bowl XVIII appearance with the Washington Redskins. Huff now owns an award-winning, custom home building company in Chapel Hill, North Carolina. Fred Combs (NC State, 1965-67) – An All-America defensive back and record-breaking return specialist for the Wolfpack teams of the mid-1960s, Combs joined twin brother Francis at NC State after stellar high school careers in Hertford, North Carolina, where they were baseball teammates of Hall of Fame pitcher Jim “Catfish” Hunter. As a senior, Fred Combs was a key player on the famed “White Shoes” defense as NC State scored a memorable 14-7 win over Georgia in the 1967 Liberty Bowl and achieved its highest national football ranking ever at No. 3. He also starred on the Wolfpack baseball team that placed third in the College World Series the following spring. Nearly 50 years since he graduated from NC State and went on to a successful business career, Combs’ 434 punt return yards as a senior still stands as the single-season school record. Tony Dorsett, Pitt (1973-76) – Dorsett’s legendary collegiate career culminated in 1976 with a national championship, the Heisman Trophy and individual acclaim as the greatest running back in college football history. The Aliquippa, Pennsylvania, native set or tied 18 collegiate rushing records (most ever). He established the NCAA’s all-time career rushing record with 6,082 yards, a mark that stood for 22 years (His overall total at Pitt, including his yardage from three bowl games, was 6,526). Dorsett went on to a professional career in which he accounted for over 16,000 total yards and 91 touchdowns. He retired as the second all-time leading rusher in NFL history (12,739 yards). Dorsett became the first player in football history to win the Heisman, a college national championship and a Super Bowl, as well as receive Hall of Fame enshrinement on both the college and professional levels. Chris Gedney (Syracuse, 1989-92) – A consensus All-American, Gedney set what were then Syracuse school records for receptions by a tight end in a season (34 as a senior) and career (91). He was a member of Orange teams that played in four bowl games and was named to the SU All-Century Football Team. Gedney played for the Chicago Bears and Arizona Cardinals during a seven-year pro career, and was a finalist for the 2000 NFL Man of the Year Award. He was honored with the Ed Block and Gene Autry Courage awards in 2001. The Liverpool, New York, native is now back at his alma mater as senior associate athletics director. Gedney, who is responsible for solicitation of major gifts for athletics and coordinating and managing the donor prospect pool, also serves as the analyst for the Syracuse IMG Sports Network football broadcasts. Patrick Kerney (Virginia, 1995-98) – A standout defensive end for head coach George Welsh’s Virginia teams of the late 1990s, Kerney capped his collegiate career by earning first-team All-ACC and All-America honors as a senior. His 15 quarterback sacks in 1998 led the ACC, ranked second in the nation, and tied the Virginia record set by Chris Slade in 1992. The Yardley, Pennsylvania, native – who was originally recruited as a lacrosse player and played the sport for two seasons at the collegiate level – had his football jersey retired after closing out his Virginia career with 127 tackles and 24 sacks. Kerney spent 11 years in the NFL with the Atlanta Falcons and Seattle Seahawks. He earned NFC Defensive Player of the Year honors with Seattle in 2007 after leading the division in sacks with 14.5 and forcing five fumbles. Corey Moore (Virginia Tech, 1997-99) – In his three years in Blacksburg, Moore amassed 35.0 sacks for losses, totaling 292 yards. He left Virginia Tech as the most decorated player ever to put on the Hokie uniform. He won the 1999 Nagurski Award as college football’s Defensive Player of the Year and the Lombardi Award as college football’s Lineman of the Year. He became Tech’s second-ever unanimous All-American, joining Jim Pyne. The Brownsville, Tennessee, native also earned the Dudley Award as the top college player in Virginia, the conference Defensive Player of the Year award and was selected as Football News‘ 1999 Defensive Player of the Year. Moore, whose jersey number (56) was retired by the Hokies, played briefly in the NFL and now works at Michigan State as an academic advisor. Chuck Ramsey (Wake Forest, 1971-73) – Ramsey led the nation in punting in 1973 while earning All-America honors. Ramsey averaged 44.8 yards per punt as a senior and was named first team All-America by the Football Writers Association, Time Magazine, the Sporting News and the Newspaper Enterprise Association. From 1971 through 1973, Ramsey was the ACC’s top punter and was a first team All-ACC pick as a junior and a senior. Following his senior year, the Rock Hill, South Carolina, native who grew up in Knoxville, Tennessee, played in the Blue-Gray, East-West Shrine and Hula Bowl all-star games. Following his collegiate career, Ramsey spent eight productive years in the NFL. He was named to the Jets’ All-Time Four Decade team in 2003. A sixth round pick of New England in 1974, Ramsey originally signed with Chicago of the World Football League. He punted for the Jets from 1977 through 1984.